VIPs are more than just very important to you, they are very important to us. Indeed any person travelling with us is important to us. 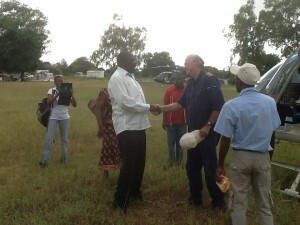 We attach a picture of the Minister of the Interior of Mozambique who we flew in our helicopter in February 2013. The task was for the charity Wings Like Eagles who chartered us to respond to a disaster in the Limpopo valley. About 170,000 people were affected. This VIP needed to see the problems and solutions. Then he reported them to the Cabinet and the Prime Minister. The key relationship is in the helicopter. The pilot and the VIP need to talk to ensure the right answers are found. Safe answers. Timely answers. The optimum answers. Please tell us what you want. We care about all our passengers and we want them to have as enjoyable and efficient experience as we can. Please contact us with your requirements and we will aim to do all we can to meet them.